Household medications are the number one cause of childhood poisonings. And, they pollute our waterways when they are flushed. 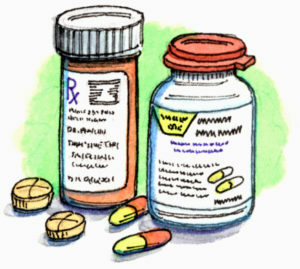 The DEA National Prescription Drug Take Back program safely disposes your medicines. Examples: computers, microwaves, iPods, printers, cell phones, TVs, remotes. Please no batteries or bulbs. Note: Bulbs and batteries will not be collected. Fairfax Lumber, Good Earth and United Markets collect used batteries. Fluorescent (CFLs), Halogen and LED light bulbs and batteries can be taken to the Marin Household Hazardous Waste Facility for safe disposal or recycling. Incandescent bulbs may be disposed of in your trash. For Fairfax Residents Only. Shred your sensitive documents (up to 2 bankers boxes). Please no plastic, folders or binders. 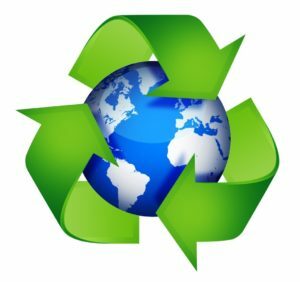 Staples/paperclips OK.
Drop off your old mattresses for recycling! Bye Bye Mattress® is a program of the Mattress Recycling Council. Also.... FREE COMPOST FOR FAIRFAX RESIDENTS! Bring it Home! Free compost will be available for Fairfax residents at Take Back Day. This will be the first of several deliveries to be made by Marin Sanitary Service in 2019. This compost is made from the food and yard waste collected in your green curbside carts. Since the delivery is shared with all Fairfax residents, please do not take more than five 5-gallon buckets (which provides about a one inch cover for a 40 square foot garden). Use of Compost: Compost is a soil amendment that improves the water-holding capacity and structure of your soil, but too much of it can harm your plants! It is recommended that you use no more than 1-2 inches on your annuals & perennials. GETTING THERE: Walk, Bike or Drive through the drop off spots in the Fairfax Pavilion Parking lot. Please enter from Bank Street. Sustainable Fairfax, Marin Sanitary Service, Conservation Corps North Bay and the Town of Fairfax bring this opportunity to Fairfax residents once a year. The Fairfax police will dispose of your unused medications at the next National Prescription Drug Take Back Day on Saturday, Oct 22, 10-2. 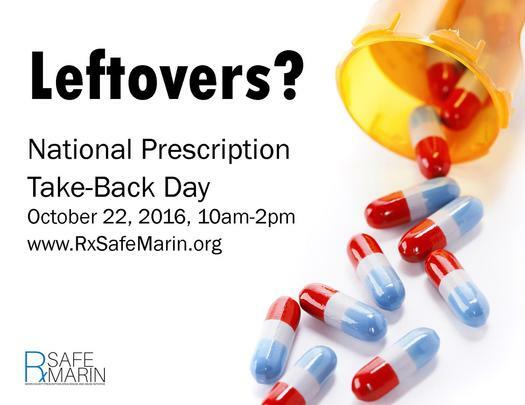 Please take advantage of this safe, convenient and responsible means of disposing of your prescription drugs.